Kite will support Gadeta in the development of a new type of CAR-T therapy that could be more effective in solid tumors. Approved just last year, CAR-T cell therapy is offering hope to patients with severe forms of blood cancer. The developer of one of only two CAR-T therapies currently in the market, Kite, has partnered with the Dutch Gadeta in order to support the development of a new type of CAR-T cells with several advantages. While traditional CAR-T therapies are based on alpha beta T cells, the most common subtype of T cells, Gadeta focuses on a subtype known as gamma delta T cells. The main difference lies in the T cell receptors (TCRs) that the immune cells use to recognize the target to attack. “We use alpha beta T cells as a vehicle, with the TCR of a gamma delta T cell. That means that there is a whole new field of targets as opposed to the alpha beta T cells,” Gadeta’s CEO Shelley Margetson told me. 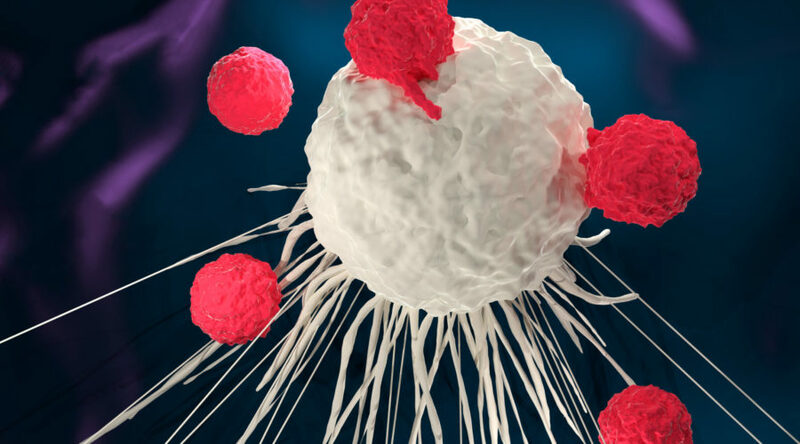 The main advantage of these new targets is that they open up the possibility of using CAR-T cells to treat solid tumors, especially given that current forms of the therapy have shown limitations in their efficacy beyond ‘liquid’ blood cancers. Another advantage of gamma delta T cells is that they can recognize their target independently of the type of molecule that presents it. “Therefore it reacts much quicker than alpha beta T cells,” Margetson explained. As part of the deal, Kite, which was acquired by Gilead for €10Bn last year, will fund the R&D of Gadeta. In exchange, it will acquire equity in Gadeta, which will be increased as certain milestones in the development of the technology are met. Kite will also have an exclusive option to acquire the company and its whole technology platform. Gadeta is not the only company using gamma delta T cells to fight cancer. TC Biopharm and GammaDelta Therapeutics are also taking advantage of these unique immune cells, but Gadeta seems to be the only one combining the TCRs of gamma delta T cells with alpha beta T cells. “I think someone who is that experienced in the cell therapy field will help us advance our technology faster and more efficiently and hopefully get our technology into solid tumors,” agreed Margetson.